Treating yourself to one of our treatments for your hands and feet couldn’t be simpler. We use the popular CND range including the long lasting Shellac 2-week polish or Vinylux weekly polish. We have a range of treatments including luxury options perfect to spoil yourself with. Includes nails cut/filed, cuticle work, relaxing hand and arm massage and polish of your choice from our CND Vinylux range. Includes nails cut/filed, cuticle work, relaxing hand and arm massage, hand exfoliation and a pampering hand mask to help nourish, smooth and hydrate dry hands and cuticles. Finished with a polish of your choice from our CND Vinylux range. Immerse your feet into a warming foot spa to help soften any hard skin and cuticles. Includes a refreshing foot exfoliation and foot file to remove any unwanted stubborn hard skin alongside nails cut/filed, cuticle work, relaxing foot and ankle massage and polish of your choice from our CND Vinylux range. Immerse your feet into a warming foot spa to help soften any hard skin and cuticles. Includes a refreshing foot exfoliation and foot file to remove any unwanted stubborn hard skin alongside nails cut/filed, cuticle work, and a super hydrating and nourishing foot mask wrapped up in our heated booties for ultimate relaxation. Finished off with a relaxing foot and ankle massage and polish of your choice from our CND Vinylux range. This extremely effective treatment is targeted for any hard calluses or stubborn hard skin on the feet. Using a special formula, the callus peel pads are placed on to concern areas and left for 20-30minutes then removed and any excess skin is filed using specially designed foot file for hard course skin. 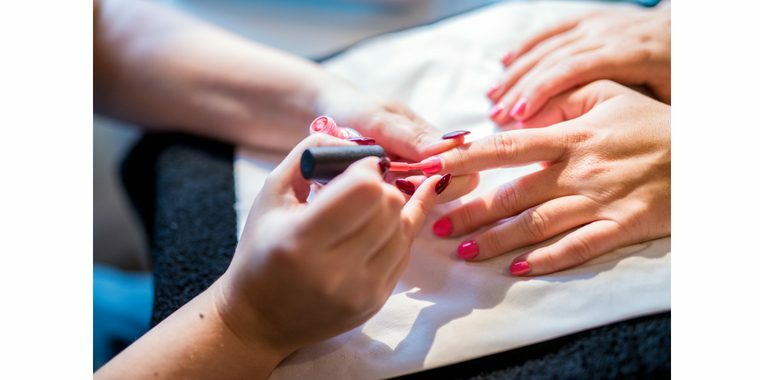 You also receive nails cut/filed and cuticle work and finished off with a relaxing foot and ankle massage and polish of your choice from our CND Vinylux range. Shellac is a long lasting, super shine, chip resistant UV polish. You receive nails filed or cut, cuticle work and shellac application. Please note we cannot soak the nails when you are having shellac due to potential softening of the nails. Includes nails cut/filed, cuticle work, shellac application, a relaxing hand and arm massage, hand exfoliation, and a pampering hand mask to help nourish, smooth and hydrate dry hands and cuticles. Includes a refreshing foot exfoliation and foot file to remove any unwanted stubborn hard skin alongside nails cut/filed, cuticle work, a super hydrating and nourishing foot mask wrapped up in our heated booties for ultimate relaxation. Finished off with shellac application a relaxing foot and ankle massage. This extremely effective treatment is targeted for any hard calluses or stubborn hard skin on the feet. Using a special formula, the callus peel pads are placed on to concern areas and left for 20-30minutes then removed and any excess skin is filed using specially designed foot file for hard course skin. You receive nails filed or cut, cuticle work and shellac application finished off with a relaxing foot massage. For those in a rush! Includes filing of the nails and a polish of your choice from our Vinylux range. This extremely effective treatment is targeted for any hard calluses or stubborn hard skin on the feet. Using a special formula, the callus peel pads are placed on to concern areas and left for 20-30minutes then removed and any excess skin is filed using specially designed foot file for hard course skin. You also receive nails cut/filed and cuticle work. Rough, dry hands? Let us help by cutting your nails, getting rid of any excess or overgrown cuticles and treating dry cracked hands with a smoothing exfoliation and finishing off with a nourishing hand massage. Immerse your feet into a warming foot spa to help soften any hard skin and cuticles. Includes a refreshing foot exfoliation and foot file to remove any unwanted stubborn hard skin alongside nails cut, cuticle work, and a relaxing foot and ankle massage.